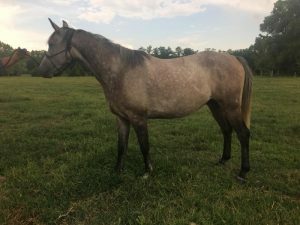 2013 Gray 1/2 Arabian Gelding. Super friendly, affectionate guy, has had groundwork, loads, ties and has worn a saddle–ready to start riding soon. This boy will be a great partner for someone!